Over the years, we have placed an important role when it comes to looking younger. This is where cosmetic procedures come in. Cosmetic procedures can help your skin look younger and healthier. These treatments help reduce wrinkles, smoothen fine lines and improve skin texture. The following are the most common non-surgical cosmetic procedures done in our Dubai Healthcare City clinic. Botulinum Toxin injection is by far the most popular when it comes to non-surgical treatment of wrinkles. Wrinkles are a result of aging, sun damage, and sometimes exposure to environmental factors. Botulinum toxin temporarily freezes the muscle causing the wrinkles to soften due to the muscle’s relaxed state. Botox will also help prevent the creation of wrinkles because it inhibits facial movements that can cause lines like frowning. Dermal Fillers fill up the lines like the laugh lines and smile lines. They are made of hyaluronic acids and help fill in these lines and creases, thus temporarily restoring a smoother, more youthful-looking appearance. When injected beneath the skin, these dermal fillers will plump up creased and sunken areas of the face giving you a smoother skin texture and a youthful appearance. The Dermamelan Mask, also called the Depigmentation mask, works by blocking the enzyme that causes the pigmentation or discoloration. The Dermamelan mask will be applied by Dr. Maurizio or Dr. Roberto Viel and have to stay on the patient’s skin for eight to twelve hours. The patient will need to continue the treatment at home with the Dermamelan Home Kit for a period of three months. As for the results, most patients start seeing a difference after two to four weeks. Platelet-rich plasma treatment is one of the most popular non-surgical cosmetic procedures done in our clinic. Platelet-rich Plasma treatment is a type of mesotherapy where your own plasma is used to achieve a smoother skin texture and tone. This also acts in softening facial lines and wrinkles. Platelet-rich plasma therapy is completely non-toxic and hypoallergenic since it uses your own plasma. AQ Treatment is done using the Mesotherapy technique, wherein our doctors use a Dermapen to make tiny openings in the skin while applying the AQ Recovery Serum. This method activates the skin cells and ensures maximum absorption of the product so that the patient could get the full benefits of the treatment. The AQ Treatment is directed at renewing the skin’s upper layer in order to have better skin texture and glow. 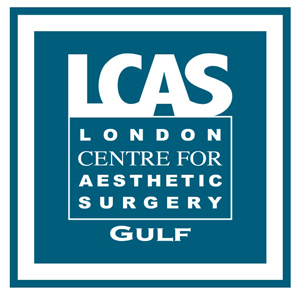 Here in our London Centre for Aesthetic Surgery Gulf, Dr. Maurizio and Dr. Roberto Viel use this non-surgical cosmetic procedures depending on your needs. You will need to come first for a consultation and they will determine which treatment is best for you. Drs. Maurizio and Roberto Viel have over 25 years of experience in the field of cosmetic surgery industry, and are known for their expertise in cosmetic surgeries such as breast augmentation, VASER liposuction, and abdominoplasty. 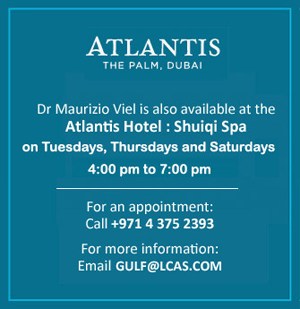 To know more about non-surgical cosmetic procedures in Dubai, click here.